Minister of Mines and Steel Development, Mr Bawa Bwari, attends the Federal Executive Council meeting at the State House in Abuja on February 21, 2018. The Federal Government has explained why it ordered the suspension of blasting and mining activities around areas that experienced earth tremor in Abuja last week. 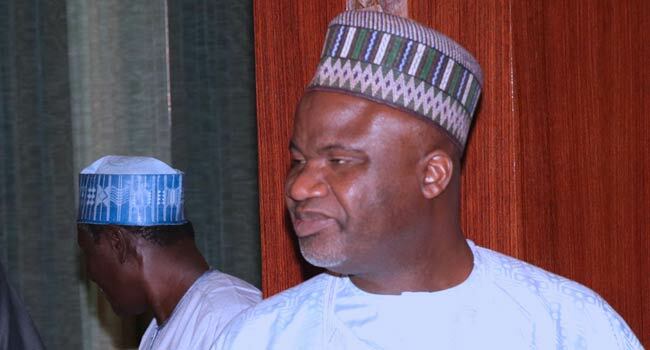 Minister of Mines and Steel Development, Mr Bawa Bwari, gave the explanation on Sunday while briefing some Nigerians in the nation’s capital on what could have triggered the shaking. He disclosed that the government through his ministry gave the order to enable the team of experts put together by the ministry to investigate the incident do a thorough job. According to Mr Bwari, getting to the root of the cause of what triggered the tremor would be better achieved without blasting activities around the affected areas. He explained that in the face of the global climate change, some of the unusual incidents could be natural occurrences that were not envisaged. Mr Bwari revealed that the government had acquired some geoscientific detecting equipment to discover such happenings and was in the process of installing them when the recent tremor was witnessed. The minister was hopeful that the six geoscience equipment when installed would go a long way in the detection of such natural occurrences, although he did not rule out elements of human-induced activities. He stressed that while the investigation was ongoing and the government might not have control over some of such occurrences, it would ensure that mining was done in the country in line with best practices. He also asked Nigerians not to panic, saying officials were deployed in the area where tremor occurred but no quakes or cracks were discovered.